Which is included on Wikipedia’s list of Mexicans of Lebanese descent…. The very knowledge that you or I or anybody else could throw a mermaid party for what I’m sure would be a large sum of money. And that anybody could make a name for themselves as a designer and renter of mermaid tails. 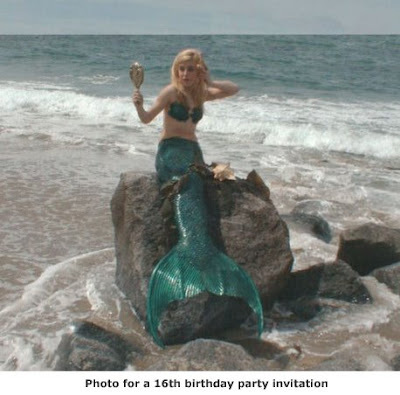 The advantage of putting your sixteen-year-old in a mermaid tail, I suppose, would be that she’d be unable to run away from you, at least during the party itself. Footnote to a footnote: Tail Man provided mermaid costumes for the initial video for Incubus’s “Wish You Were Here,” which, released just post-9/11, was banned from MTV for reasons that I don’t completely understand. I’d like to thank Samurai Shodown II, the Wii Virtual Console, Master Higgins, Capulina, Charlotte yazbek, Amy Yasbeck, and, ultimately, Tail Man for existing on Wikipedia in such a way that my dreams of Super Fun Mermaid Princess Party can finally come true. * Not that kind of treasure trail.